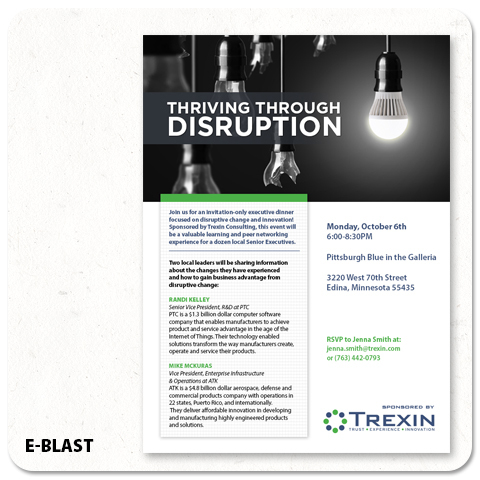 Company: Trexin is a management and technology consulting firm specializing in the application of advanced technologies that drive business value. 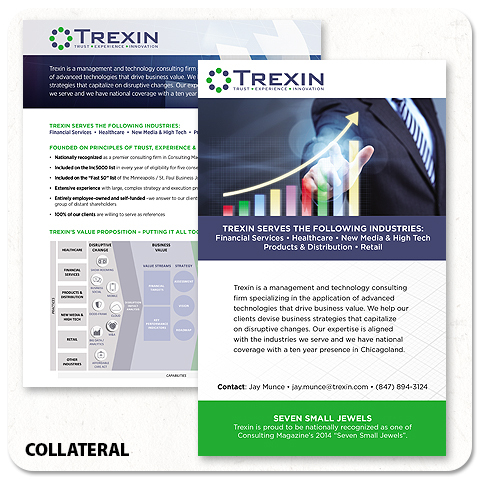 Needs: Trexin needed to publish uncluttered case studies with concise infographics to explain their somewhat complex processes and how those strategies build better businesses. Solution: Taking visual clues from their website and existing branding material, James Robert Creative created a consistent visual language for case study infographics and also leveraged white space to give a fresh open feel to the reading space. 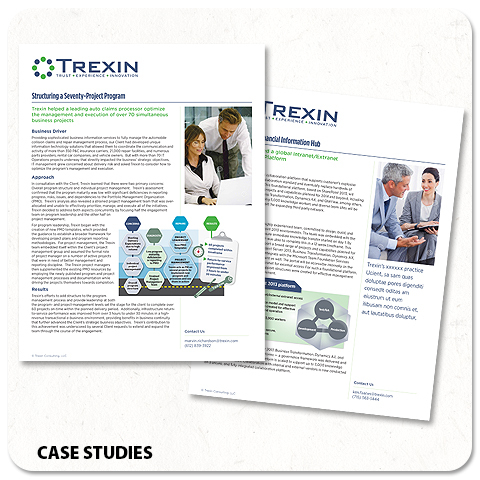 Results: Trexin continues to build a vast library of case studies using this clean, easy-to-follow aesthetic and give value-added content to it’s customer base. SEE THE WORK. Solutions that got results. CONTACT ME. Let's build a great strategy.